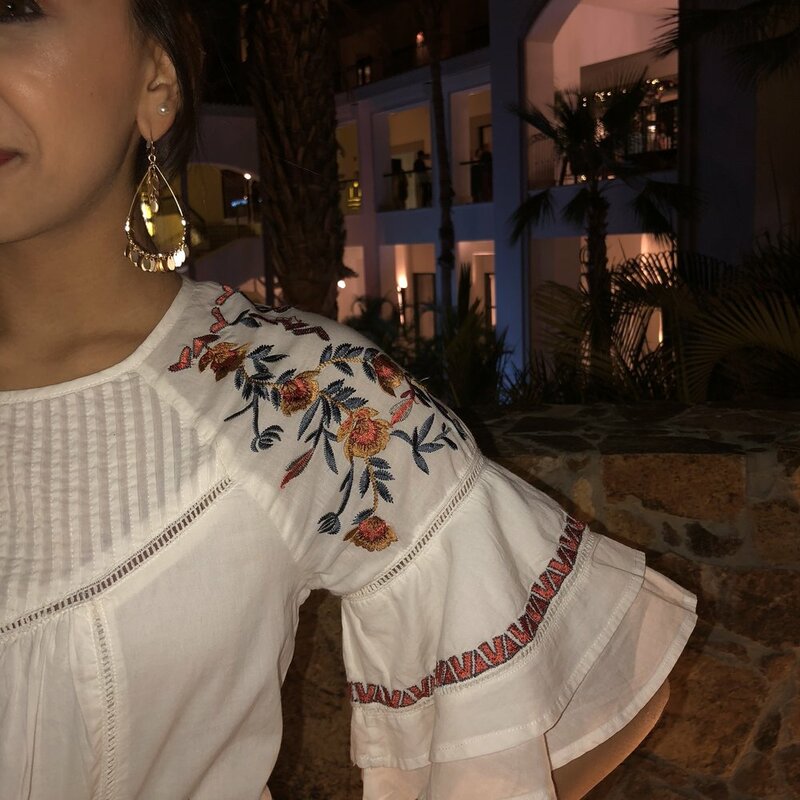 This post is a little different from all of my others, where instead of giving tips on styling, I wanted to showcase my vacation outfits in lookbook format! 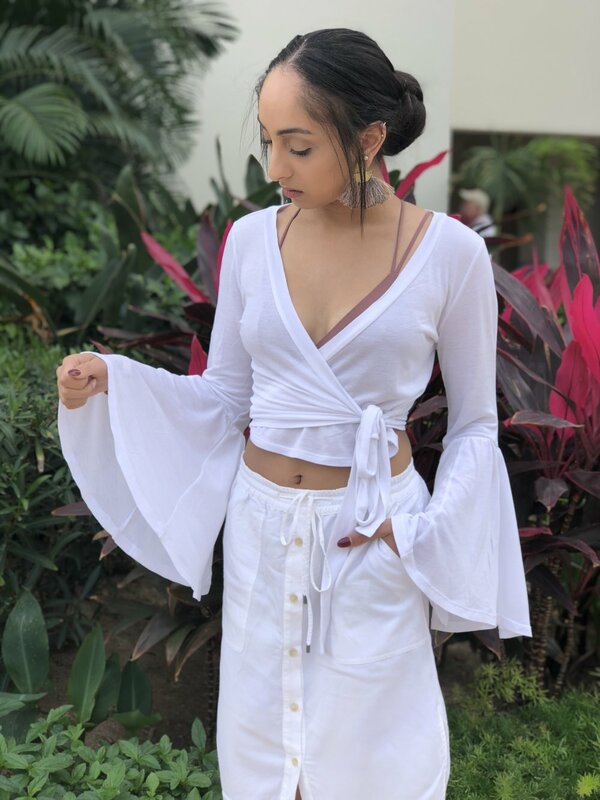 I recently traveled to Cabo, Mexico for a whole week, which meant a suitcase packed full of outfits and multiple changes every day, in the truly extra Gurbani way. These looks included casual, swim, fancy, and everything in between as I was there for the holidays as well. Paradise is a great place for sun-kissed style! Additionally, stay tuned for a vlog of the entire trip if you want to see more than just fashion! What's a vacation without an all-white outfit? Here I paired this white midi skirt from Nordstrom Rack with this billow sleeve wrap top from Urban Outfitters. For accessories I added this bralette from Nordstrom Rack with these fringe earrings from TjMaxx. This outfit is the epitome of comfort with this jumpsuit from Free People paired with a bralette peeping through from Nordstrom Rack and these leather sandals from Nordstrom Rack. This was my Christmas Day outfit, but it’s honestly perfect for any night out. I’m a pants girl and these metallic pants from Nordstrom Rack we’re perfectly paired with this off the shoulder top from the Kendyll and Kylie line. 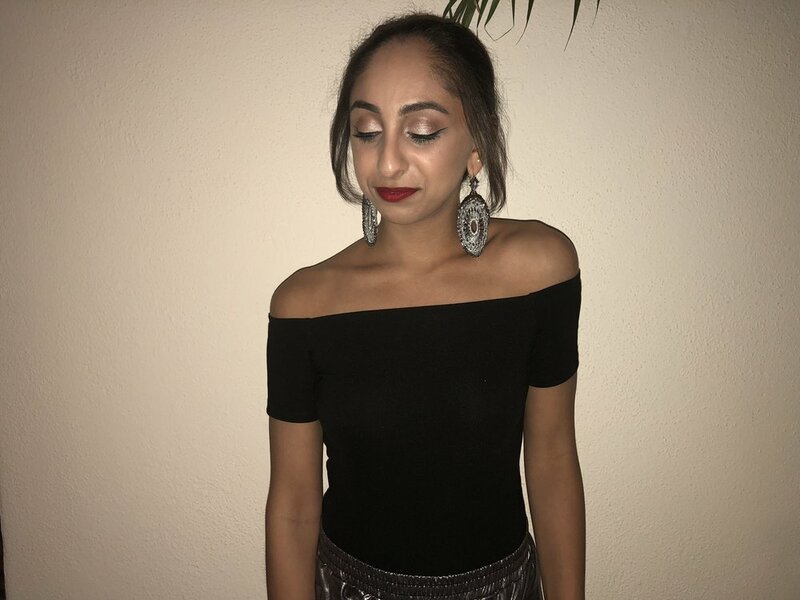 Keeping with the black and silver I paired black heels from Nordstrom Rack and added these silver earrings from Tjmaxx topped off with a bold red lip. And with that, I hope you got some fashion inspiration for your next vacation and enjoyed getting a little bit of a look into my life!